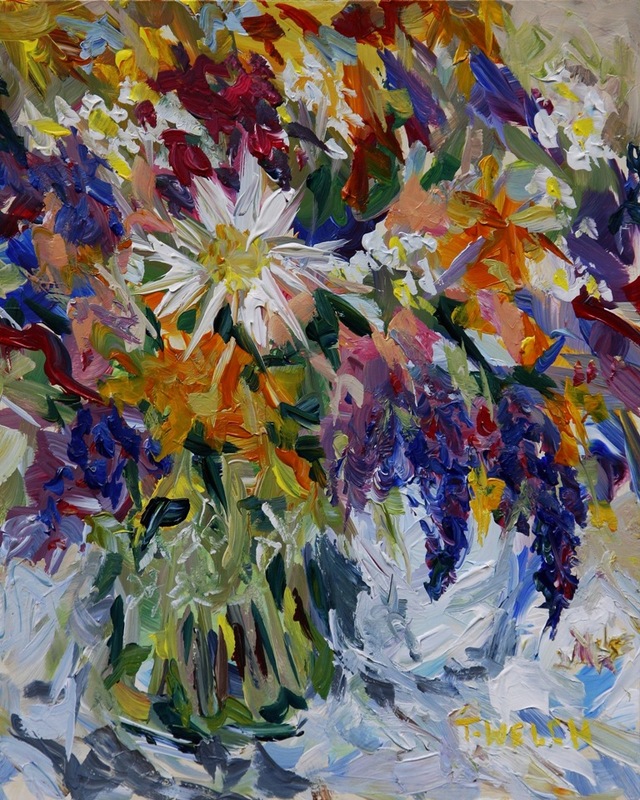 Summer for painter Terrill Welch is plein air painting and also enjoying the bright brushstrokes of still life work. Released today, are one of each by artist Terrill Welch. This plein air 12 x 16 inch oil on canvas seascape brushes against the immediacy of the west coast Canadian landscape. The edges are painted and it is ready to hang. 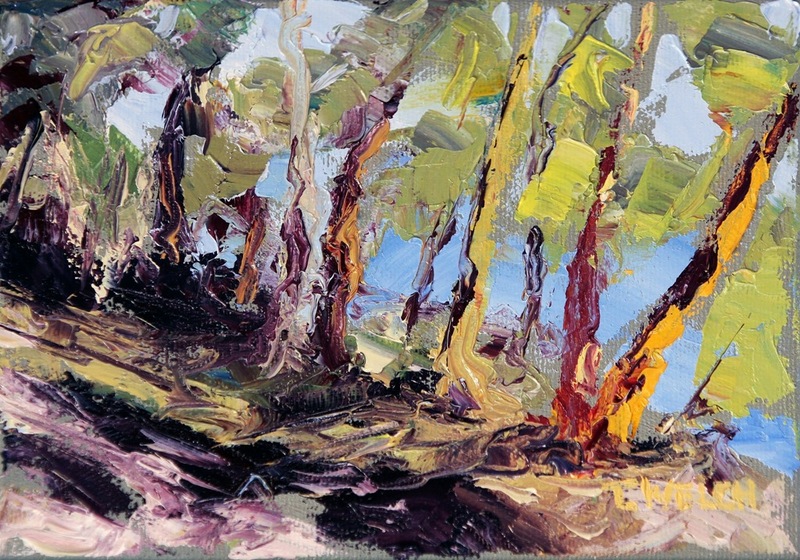 Update September 2, 2014: This painting is now SOLD but by clicking on the image it will take you to where my current work that is available can be viewed in detail with purchase information. An unexpected tribute to Van Gogh, this 18 x 14 inch oil on canvas still life with painted edges gathers the fullness of summer with acknowledgement of its passing. It will bring timeless warmth to any room. In other studio news – one oil painting and one acrylic painting sketch have sold and now reside with private collectors in the lower mainland of British Columbia. The first is a small landscape THROUGH THE TREES. called FLOWERS TO MARKET is SOLD. To view more Terrill Welch’s paintings i detail visit her online gallery by clicking on the listing below.